ZUK, Lenovo’s exclusive smartphone brand is preparing yet another phone, aside from the Edge model. It’s dubbed ZUK R1 and it’s detailed below via a leak of hands on pictures, plus some specs. ZUK’s R1 is expected to bring the products into an entry level area, after the high end ZUK Z2 and Z2 Pro units. Listed in GFXBench already, the R1 managed to leak many months ago, but it wasn’t launched in the end. We get large bezels here and on screen buttons, as well as a physical Home button. Specs include a 4.6 inch HD display, although the GFXBench listing mentioned a 4.7 inch screen. 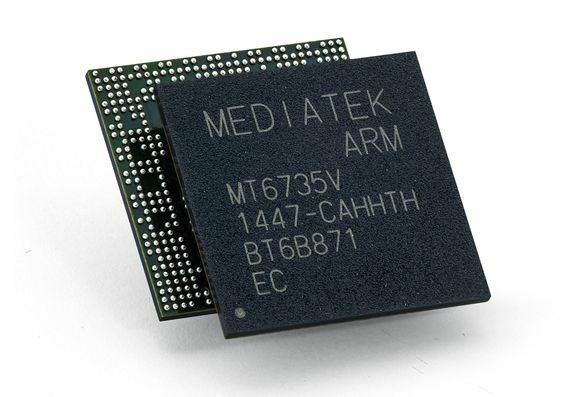 There’s a 64 bit MediaTek Helio P10 MT6755 octa core CPU here, with a Mali T860 GPU in the mix. The GFXBench version had 3 GB of RAM and 32 GB of storage, while the one pictured above has 2 GB of RAM and 16 GB of storage. The Home button is said to support gestures and it could also include a fingerprint scanner. The power button and volume button are on the right side of the device, while the SIM card slot is on the left. The R1 is said to have a 13 megapixel back camera with LED flash and a 5 MP front shooter as well. It has a metal body, that’s gently curved and is based on Android Marshmallow with ZUI on top. Expect an affordable price.